Adminator is a great free admin template which has a mobile friendly fully responsive design. Its Based on Bootstrap 4 packs the latest and many more libraries and plugins that are very useful in your projects. This is the most recommended free admin template for your projects. Feel free to let us know what you think about the admin template. 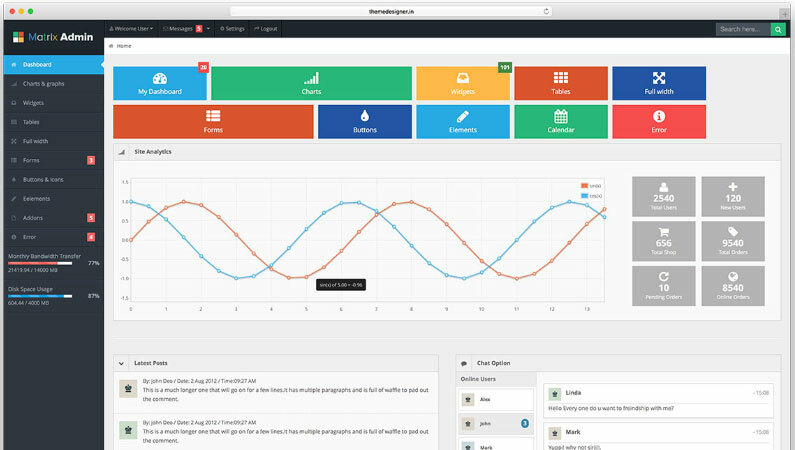 Gentelella also a fully responsive and full featured admin template that is available free. Template is build on Bootstrap 3 which is great for your project. This admin template has all the features needed to compete with premium templates out there. Enjoy the template on you project and tell us what you think about the template on the comment section. AdminLTE is a great admin template that provides a range of responsive, reusable, and commonly used components for absolutely free. It features over 1000 icons, 6 different skins, and plenty of more features.Try it out and let us know what you think about the template. 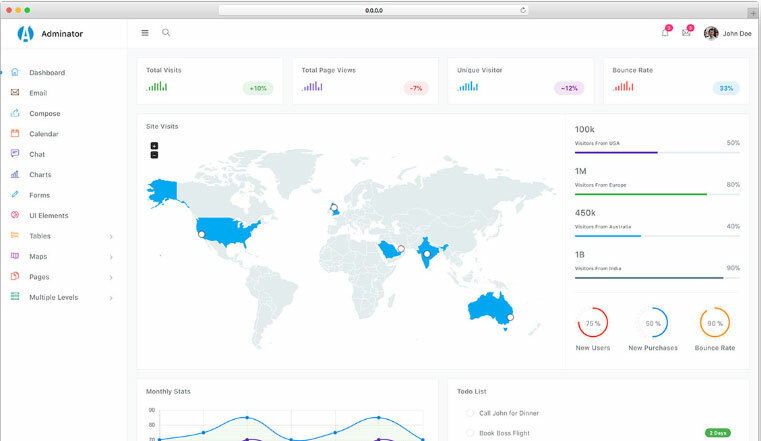 Matrix Admin is yet another awesome bootstrap admin template which is a absolutely free. This also has many plugins that comes with it that will be very handy in your projects. 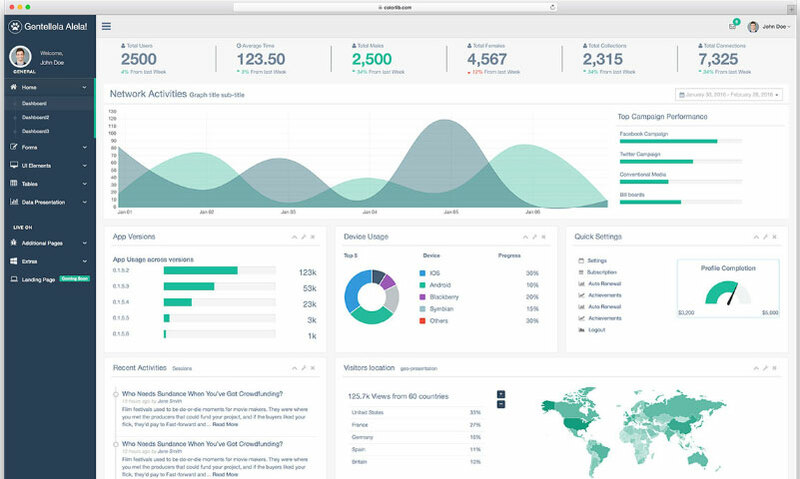 This theme consist of two different dashboards. Try the admin template and let us know what you think. star admin is a pre-built template which has great look and feel. Their design is fully modern and up to date and UI is really attractive and professional. Overall, the free Star Admin template pack is ideal for creating admin panels, e-commerce systems, project management apps, and more. Try it out! !